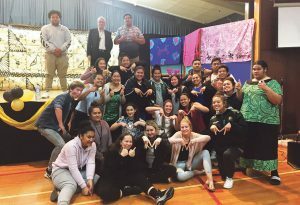 The Aotearoa Catholic Youth Festival takes place over the weekend of 2‒3 December 2017 with the theme ‘Face to Face – Kanohi ki te Kanohi’. Cardinal John Dew, Life Teen Wellington and Young Church Ministry after the Archdiocese of Wellington Commissioning Mass for the festival. Bishop Charles Drennan with some of the young people from Palmerston North at the festival fundraising concert. The festival is being hosted by the New Zealand Catholic Bishops Conference at St Mary’s College, Auckland. Over 500 youth aged 15‒29 are expected to attend. It is an opportunity for encounter with God, the Church and other young people. The festival aims to invite and challenge young people to actively participate in and grow their local faith communities. Around 120 young people are travelling from Wellington. 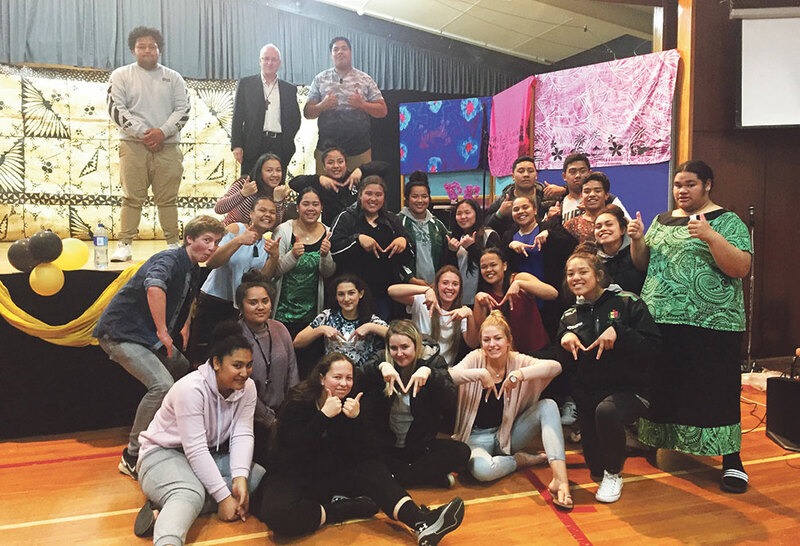 The Archdiocese Family and Young Church Office organised pre-festival events to bring participants together ‘Face to Face – Kanohi ki te Kanohi’. 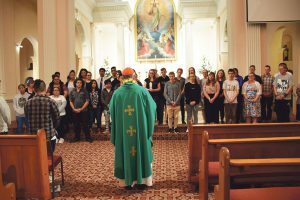 Cardinal John Dew celebrated a Young Church Mass in November and commissioned the young pilgrims travelling to the festival. 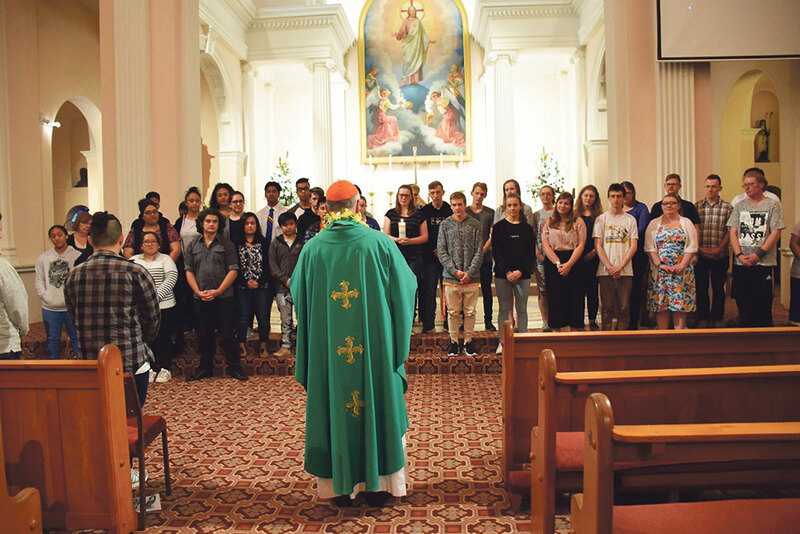 Cardinal John commissions young pilgrims from the Archdiocese as they prepare for the festival. 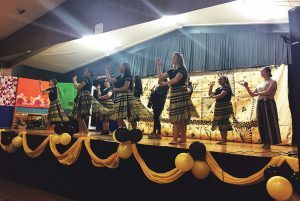 The Manawatu festival attendees organised a number of events including a hangi and a cultural concert fundraiser to help all their group get to the festival. 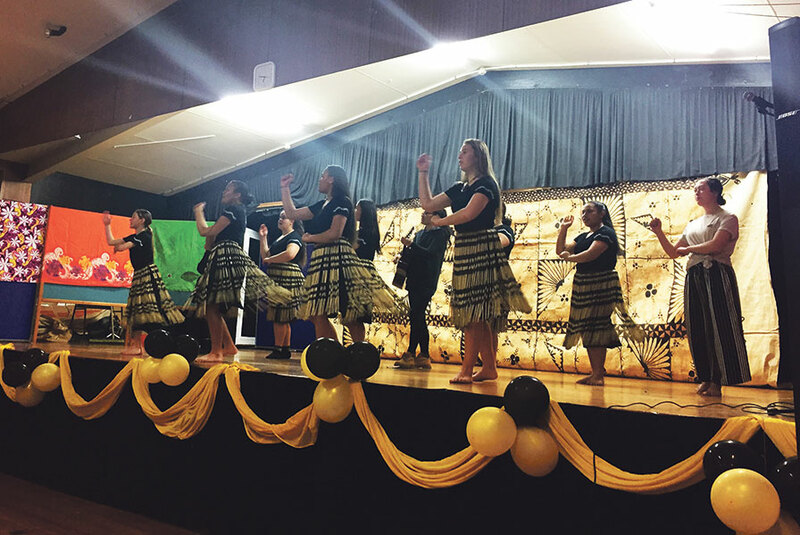 The concert included guest performances from St James primary school choir and the Massey University Pacifica group. The Mokos Youth Group, Whaea Jamie and parents used the cooking facilities at St Peter’s College for the hangi. 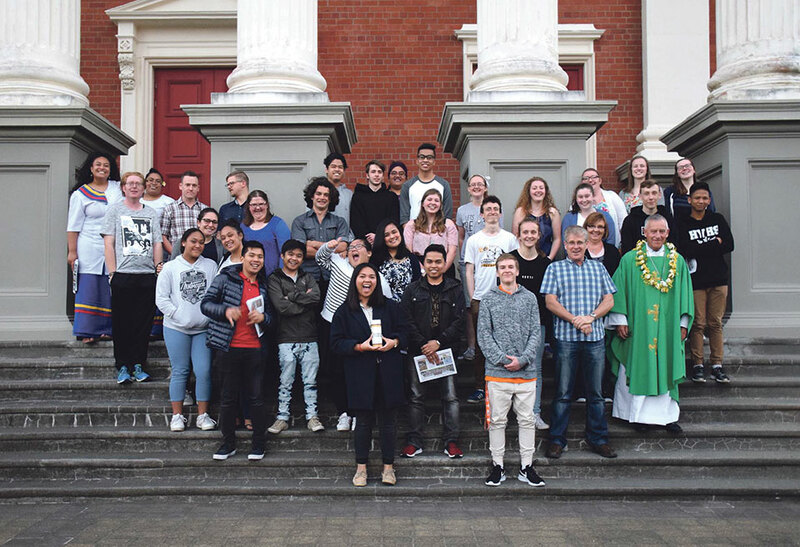 The Diocese of Palmerston North has about 65 young people attending. Pilgrims will journey from Manuwatu, Taranaki and Hawke’s Bay along with their leaders. 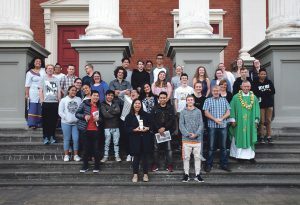 The Diocese also has about 50 young people travelling from New Plymouth, North and South Taranaki and Hastings. On Saturday, festival highlights include a Mass, and a music and prayer session led by Canadian Christian singer-song writer Matt Maher. Following the festival, on the Sunday evening Matt Maher will headline a public concert for the Christian community of Auckland at the Victory Convention Centre, Freemans Bay. He will be joined by New Zealand performers Monique Holden and Grace Worship. Aotearoa Catholic Youth Festival supporters include Caritas Aotearoa New Zealand, Catholic Enquiry Centre, The Catholic Institute of Aotearoa New Zealand (TCI), The Catholic New Zealand Education Office, The Catholic Foundation of the Archdiocese of Wellington, Catholic Charities Foundation of Palmerston North, Pandoro, and Pleroma Christian Supplies. Radio Rhema, LifeFM and Manna are supporting the Matt Maher concert.